For the first time in three years, Israelis and Palestinians will come to the negotiating table in Washington on Monday night. 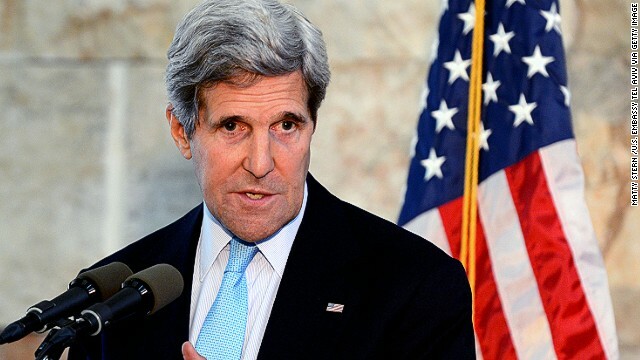 U.S. Secretary of State John Kerry reiterated praise for Israeli Prime Minister Benjamin Netanyahu and Palestinian Authority President Mahmoud Abbas on Monday morning. The talks will be "a difficult process," but he added that the consequences of not trying could be worse. 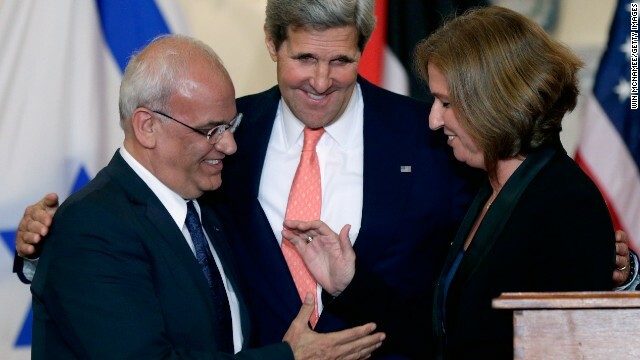 Kerry said the goal is to seek "reasonable compromises" on "tough, complicated, emotional" and symbolic issues, then he announced former U.S. ambassador to Israel, Martin Indyk, as U.S. envoy to the talks. Indyk understands that peace will not come easily, but that "there is now a path forward, and we must follow that path with urgency," Kerry added. CNN's Elise Labott is along the Syrian-Israeli border where things have been relatively quiet - until now. 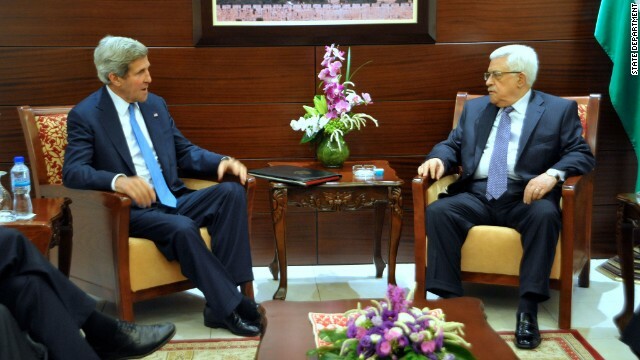 If there is one thing Israelis and Palestinians can agree on, it's that John Kerry doesn't lack enthusiasm. Arriving in Israel on Thursday on his fourth trip since taking office, the secretary of state seems determined that shuttle diplomacy will be enough to coax Israelis and Palestinians into restarting long-stalled talks. 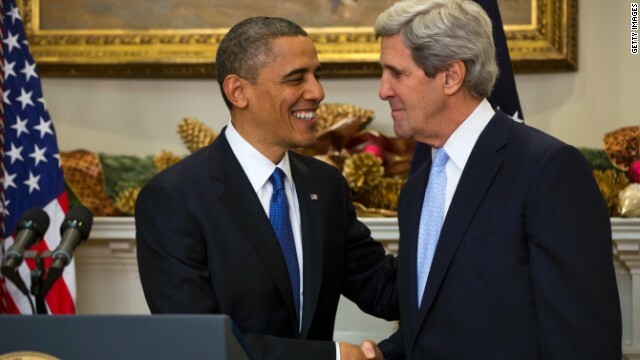 Kerry has made it clear the Israeli-Palestinian issue will be the centerpiece of his tenure as America's top diplomat and hopes solving it will be his legacy. He has spent more time on this issue than any other, is in almost daily contact with Israeli Prime Minister Benjamin Netanyahu and speaks with Palestinian President Mahmoud Abbas several times a week. Secretary of State John Kerry said Wednesday he will return to the Middle East later this month to try to push forward on the peace process. 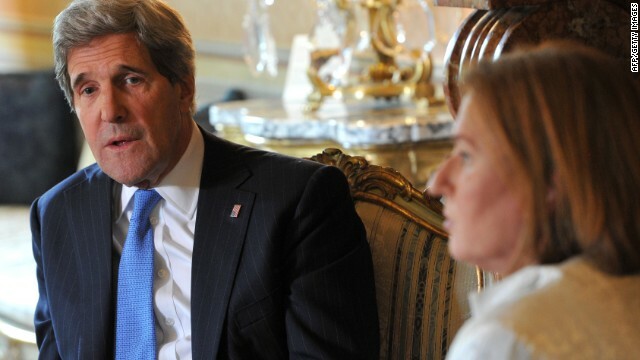 In Rome Wednesday, Kerry met with Israeli Justice Minister Tsipi Livni and Itzhak Moho, Israel's negotiator with the Palestinians. 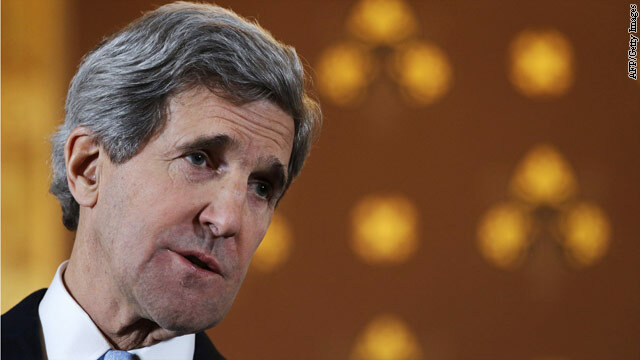 Conferring at the residence of the U.S. ambassador to Italy, Kerry said he and his partners face a short time timespan. "We understand the imperative to try to have some sense of direction as rapidly as we can," he said. Badly burned after his armored personnel carrier hit a land mine in Vietnam, Hagel sat in a medical evacuation helicopter thinking of the horrors he had experienced during his time in combat there. Sitting on that helicopter with injuries that would take years to heal, Hagel thought to himself, "If I ever get out, if I ever can influence anything, I will do all I can to prevent war," Hagel would later tell his biographer, Charlyne Berens. The moment became a seminal one for the young soldier who volunteered to join the Army and ended up serving a year-long tour in 1968 during the Tet Offensive, considered the most violent time of that war. If former Senator Chuck Hagel gets nominated to be the next Secretary of Defense, it won't be a smooth ride to confirmation. Getting to the Pentagon will mean overcoming an already vocal opposition from pro-Israel groups and others who object to his stance on Iran and Hamas. One group began running ads on Washington-area television stations on Thursday, even though the administration has not said he is the president's choice. He faced new opposition late this week from gay rights groups, who were strong supporters of President Obama's election campaigns, for a comment Hagel made in 1998 in which Hagel questioned whether a nominee for ambassadorship was suitable because he was "openly aggressively gay." Should he be selected to replace Leon Panetta though, he will bring to the Pentagon a distinct bias towards avoiding armed conflict. If, as expected, the United Nations General Assembly votes Thursday to upgrade the Palestinians to non-member observer status, it could put about $500 million in U.S. aid at stake - not to mention the $100 million in monthly tax revenues Israel is threatening to withhold. The new status would fall short of triggering U.S. legislation that automatically cuts all U.S. aid to the Palestinian Authority and any programs in the Palestinian territories, as well as aid to any organizations that recognize Palestine as a state. That's because the non-member designation falls short of being a full member state, which would give Palestine full voting rights in the in the U.N. General Assembly. 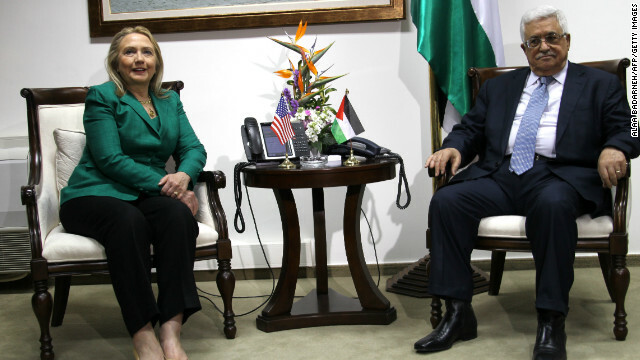 The United States is vehemently opposed to member-state status for the Palestinians that doesn't stem from a peace deal with Israel.